"In recent weeks, some have suggested that President Trump’s controversial interactions with James Comey, the former F.B.I. director, did not constitute wrongdoing. As an ex-criminal defense lawyer and a former federal corruption prosecutor, now joined together as government watchdogs, we beg to differ. 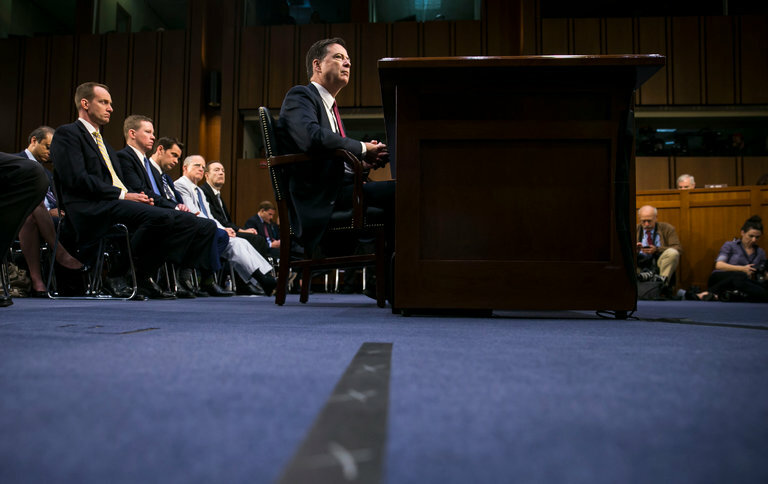 Mr. Comey’s sworn statement and answers before the Senate Select Intelligence Committee now provide strong evidence that President Trump committed obstruction of justice. But we have miles to go before that case is legally resolved one way or the other — if it ever is. The alternative, a congressional decision to impeach, if justified, would require many Republicans to turn on their own president. Recall that it took the Republicans years to sour on President Nixon. Today’s Republicans may follow suit, but it will not be quick."